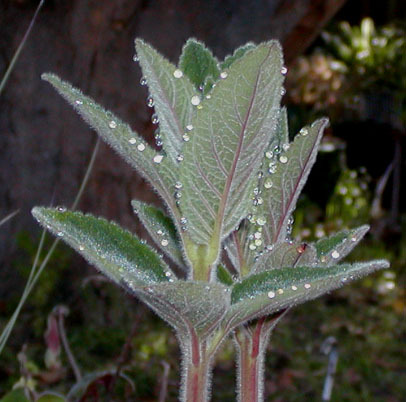 Many sinningias have leaves with features of interest. Here are a few pictures. 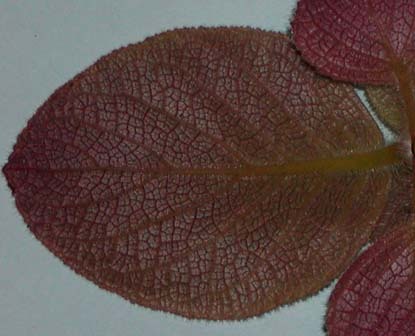 This picture shows the red color and veining on the back of a Sinningia aghensis leaf. 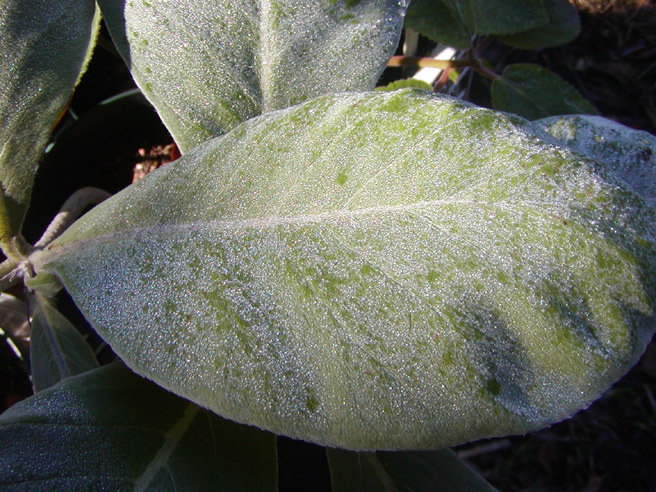 This picture, taken on a mid-November morning in 2008, shows dew on a leaf of Sinningia leucotricha.